Knickerbocker Group designed an organic and beautiful exterior living area and kitchen at their Boothbay campus to showcase the versatility and usefulness that an outdoor space like this can add to a home. The site was nestled into a wooded and landscaped hillside. 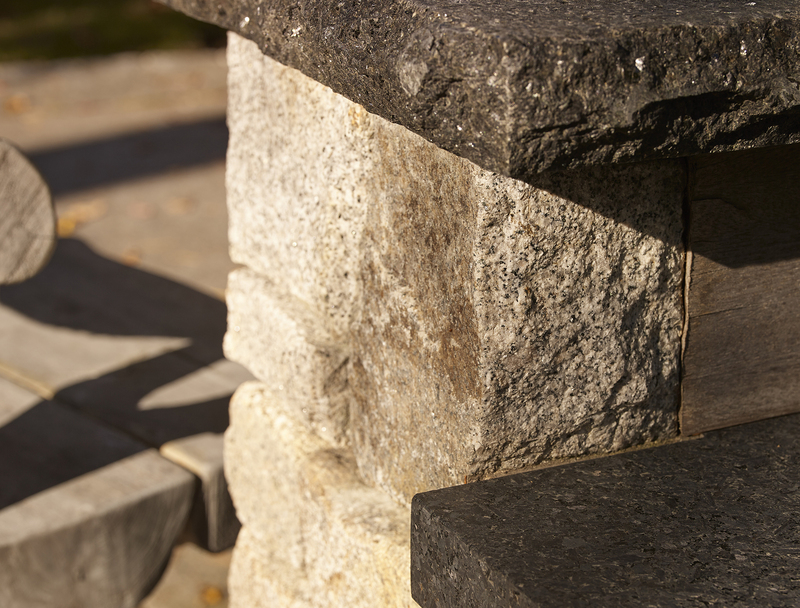 A low curved stonewall rims the edge, serving to enhance the existing terrain and also provide a seating area. 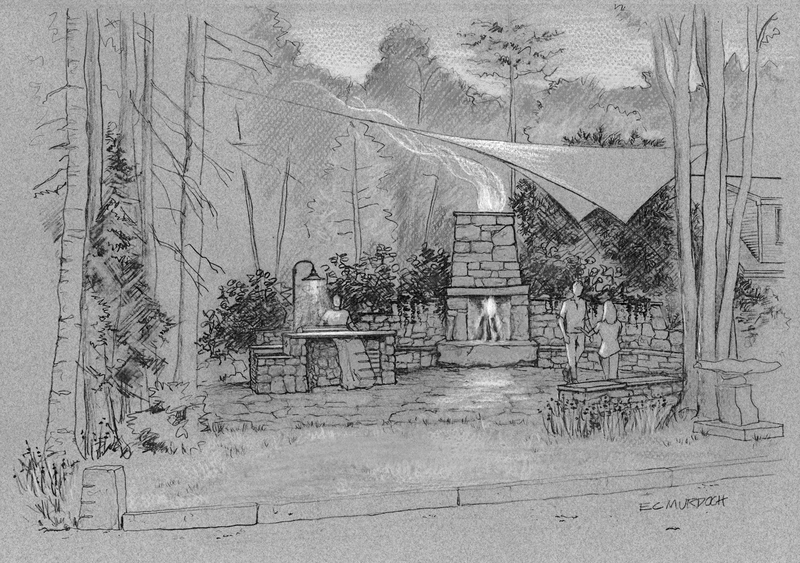 The unique masonry of the fireplace, with three large, rough-cut stones framing the fire above a massive hand-split hearth, is highlighted against the dark evergreen foliage. The design included a stone terrace, an island crafted so the stonework would mesh seamlessly with the appliances, and specialty lighting near the cooking station. There is plenty of counter space for prepping and presenting food, as well as bar seating. The island is composed of minimally treated stone work in various sizes and finishes, so as to highlight the different choices and applications that are available. The multi-level island houses the grill, warming drawer, refrigerator, and a large power burner for boiling lobsters. 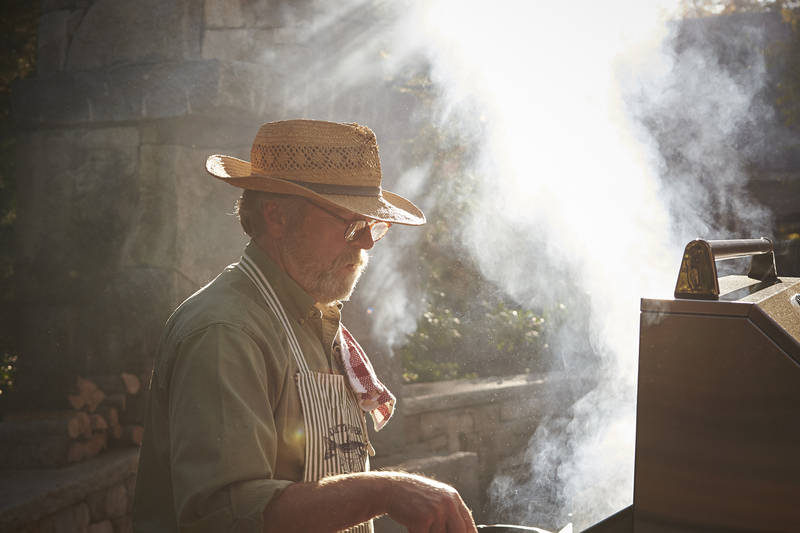 Whether the space is open-air or enclosed within a porch, an outdoor kitchen is the perfect place to relax and cook with family and friends. 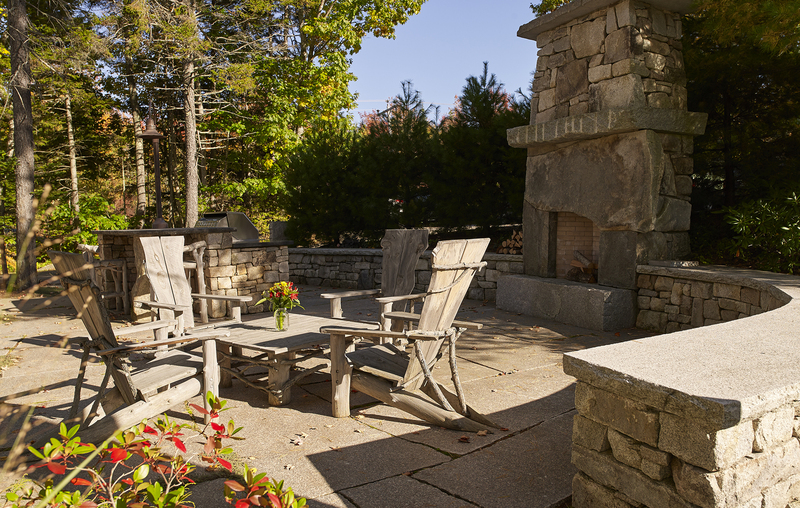 Whether sitting around the fire on a chilly night, or basking in the sun while dining alfresco, the enhanced experience of a well-designed outdoor kitchen and living area adds to the appeal and livability of any home. 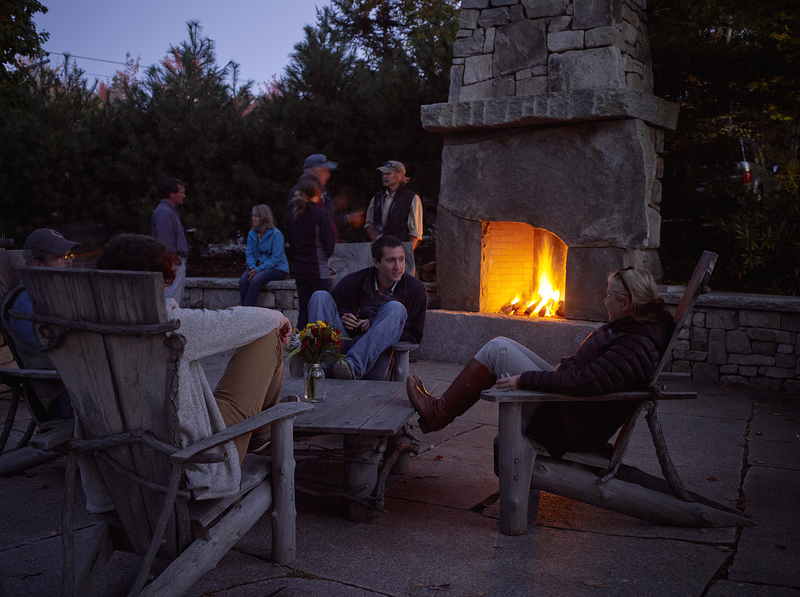 No matter the location, it allows residents to get the most out of Maine’s changing seasons. 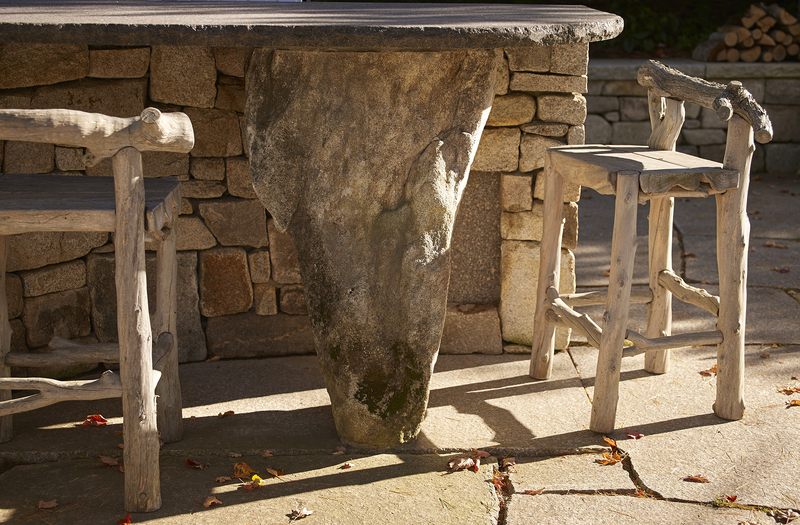 The chairs, coffee table, and bar stools for the terrace were custom designed by Steve Doe, of Whitten Hill Studio in Kennebunkport. They are crafted of rough-cut wood and logs, and offer a natural accent to the stone and foliage that surrounds the grotto. 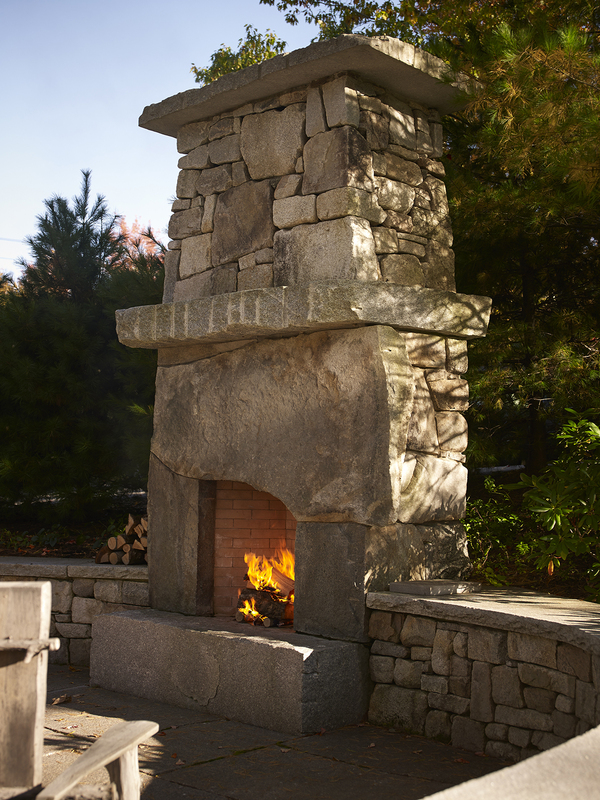 The sweeping stone wall defines the space, creating a comforting nook for guests to gather around the fire or cooking station.